Loving the cooler mountain air. Jacket by BCBG MAXAZRIA. Scarf by Max Mara. Sunnies by Elizabeth and James. Such a great day exploring so much of the amazing things Colorado Springs had to offer on Thursday....and Friday morning we got a slow start. I had a writing deadline and Lin slept in. It was a lovely morning leisurely morning. 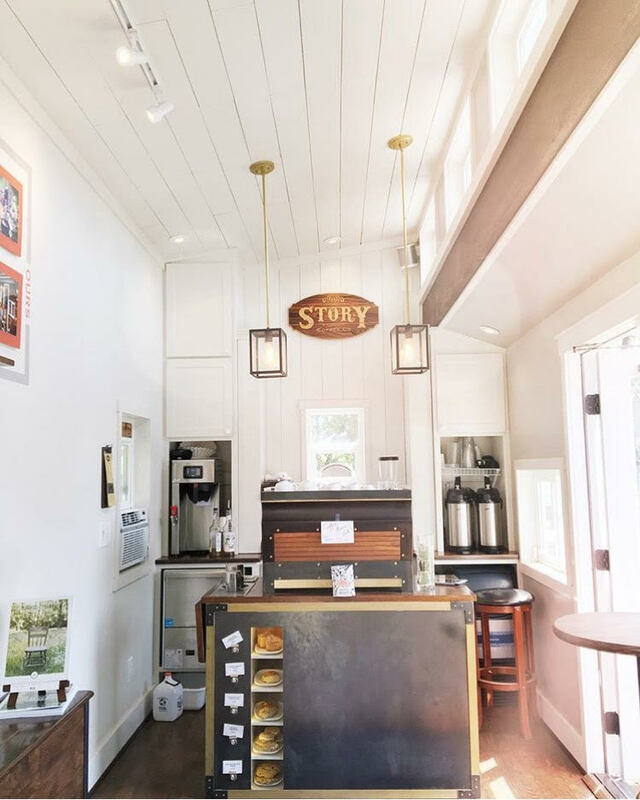 We took a nice walk exploring more of the downtown area and stumbled on a fantastic little local coffee shop named Story Coffee Company. Their story is so compelling and it was at love first sight for me. I am so picky when it comes to coffee. And I love traveling the world experiencing all coffee. 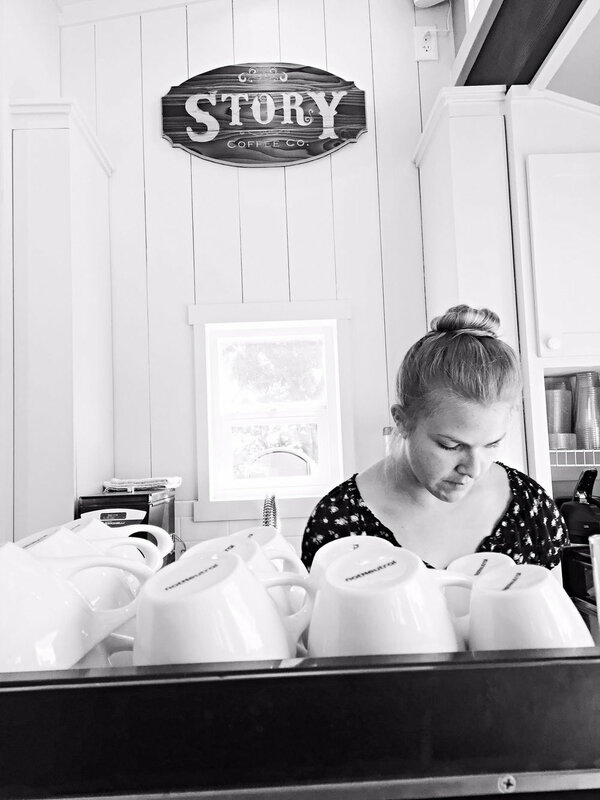 I had always wanted to start a coffee blog and never did but that's the great thing about a blog is it can take on a different shape and direction. Maybe I will add a coffee feature! Colorado Springs has been a loud voice in the “tiny house” movement, with August’s popular Tiny House Jamboree attracting national attention, and that’s about to grow as one of the first — if not the first — tiny-house coffee shops in the nation will call the city home. That’s according to Sprudge.com, which talked to Story Coffee Company. It's built on a 20-by-8-foot trailer and offers a “fine dining” drink experience in 160 square feet of space. The custom La Marzocco Linea espresso machine is such a beauty. The fascinating project is the work of Don and Carissa Niemyer and their business partners Brandon and Kelly Noffsinger, with the name coming from the combined states the foursome have traveled and the things they learned along the way. 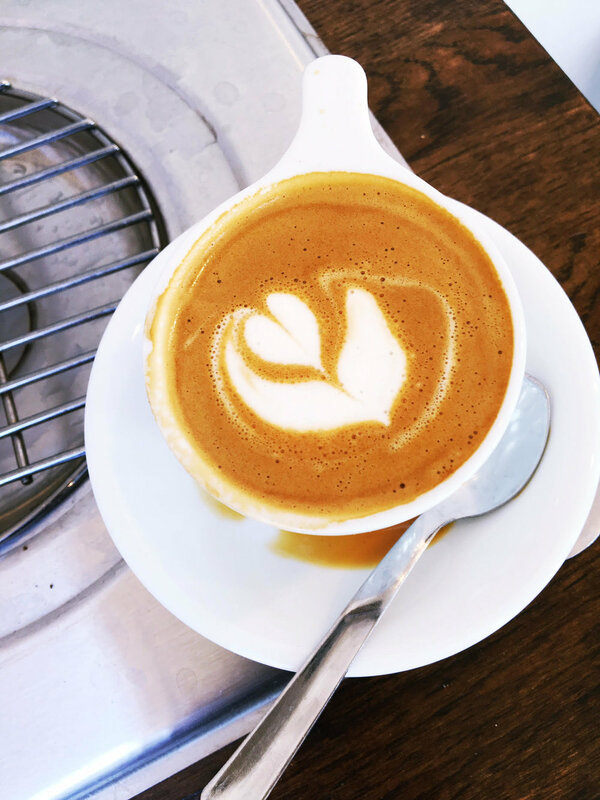 Don and Carissa are former owners of Speedboat Coffee in Portland, and across their travels became enamored with spots like Onyx Coffee Lab in Springdale, Ark. The four partners are as enthusiastic about the minimalism of the tiny-house movement, and sustainable building like the burned-wood shou sugi ban process on exterior walls. Truly obsessed. We met so many great locals including our barista who gave us some wonderful recommendations of where we should eat and sip! I will be including her list for you all a bit later! Bespoken coffee might be my new fave. Live your best story..okay???! After a few traditional macchiatos it was finally time to be reunited with our furry spotted boys. For those of you who are just now following along Lin and I enrolled Melvin and Henry in a summer obedience camp in Colorado Springs.We are moving to Spain in January and needed our dogs to be well behaved and also longed for them to be off leash and have some freedom. The program is 4 weeks long so we have been really missing them. My heart did indeed explode when I saw them!!! And you guys...they are like brand new dogs. They are so well mannered and I am so thrilled for their freedom. 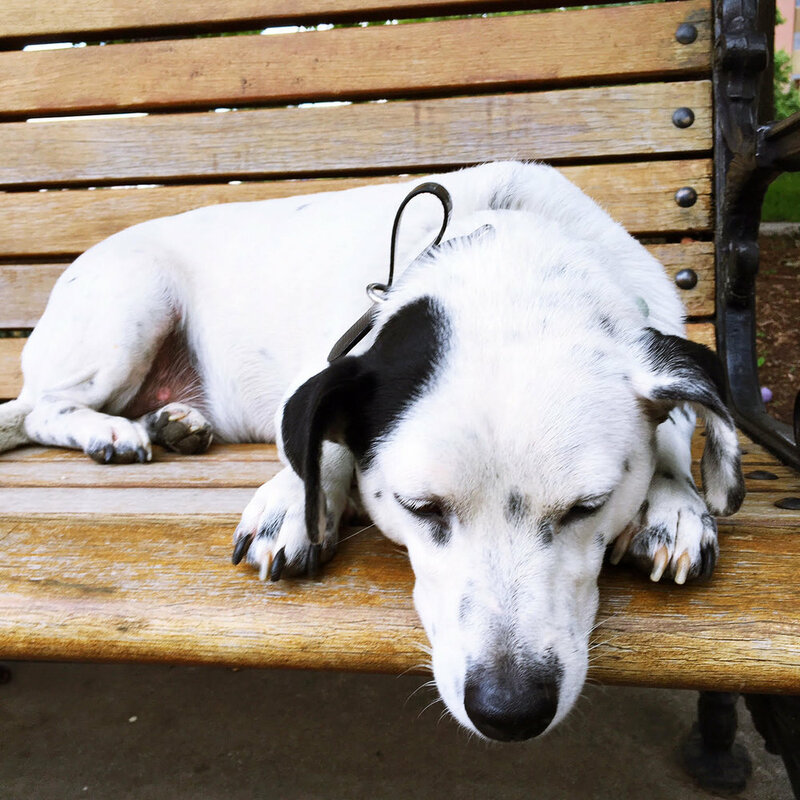 We enjoyed a patio lunch and then hung out at a downtown park where they were off leash for the first time of their entire lives in an open public area with cars and people. Seriously the best investment we have made. After a few hours of training so we could master everything our dog trainer taught them and us it was time for them to go back to the farm for one more night. That part killed me. Time for cocktails at The Rabbit Hole.I love a good basement establishment. We had heard from locals that this was an absolute must in Colorado Springs. It doesn't matter which way you go; you're sure to drink something tasty, especially with a menu like this. Like beer? 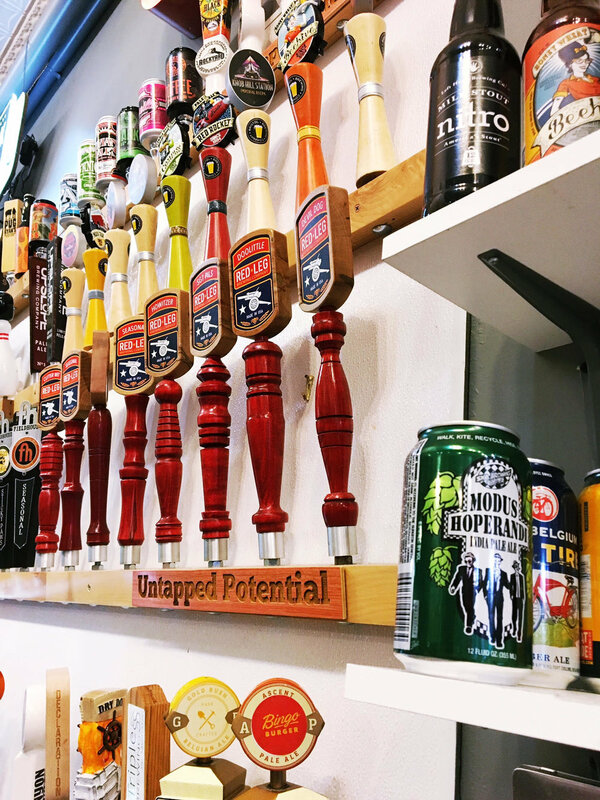 Besides the few taps — all local beers — The Rabbit Hole stocks a variety, with almost any style available, and most brewed in Colorado. More of a wine drinker? Try reds and whites from across the country and around the world, with a few sparkling and champagne bottles available as well. For cocktails, options range from the Duchess, a champagne-grapefruit cocktail served with an orchid, to the Purple Drank, described as "some drank, some purple, all good. All the locals talk about the Purple Drank btw! I tried the signature cocktail too called The White Rabbit. There is a flaming marshmallow involved. Love the Alice in Wonderland vibe and the risotto balls were absolutely delicious. The dinner menu looked amazing too but we wanted to get outdoors and enjoy that mountain air. Can you blame us?! Be sure to pop into Zeezos. This was one of the best Halloween costume shops I have ever seen. I was blown away! My friend Krista is having a Halloween party this year and it's over the top so we want to make sure we bring our A-game. I actually got a few ideas from Zeezos and am thrilled to know I can order from them on line. A huge storm was brewing so we found a great little burger place with a patio called Bingo Burgers. I highly recommend this. It's a fun upbeat eatery with gourmet hamburgers along with fresh cut fries, creative sauces, shakes, and craft brews. Great place to people watch too. We thought we had enough time to get back to the hotel before the huge down pour but no such luck!!!! Stay tuned for chapter 3 with some more tiny day trips around Colorado Springs and some more recommendations for your travels.